When Gennady Zyuganov (lead image, right) spotted dirt on Oleg Deripaska’s hands (lead image, left) this month in the State Duma, it was the first time in two decades that the leader of the Russian Communist Party has noticed; or at least dared to say so in public. Was Russia’s leading communist taking his lead from the US Treasury, which last April imposed sanctions on Deripaska, accusing him of “money laundering… threatening the lives of business rivals, illegally wiretapping a government official, and taking part in extortion and racketeering.” Was the Communist Party of the Russian Federation (KPRF) taking its cue from this month’s US Senate Resolution No. 2, attacking the lifting of sanctions on the ground that Deripaska’s control of the state aluminium monopoly Rusal “is just as tight as it was before”? KPRF president Gennady Zyuganov speaking at a plenary session of the State Duma on January 9. For the speech in full, click to watch and read. 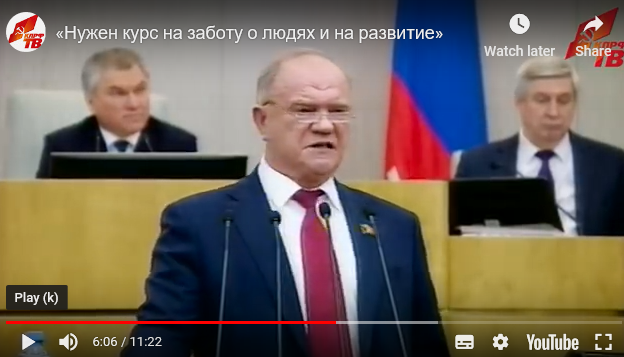 Behind Zyuganov on the podium is the Speaker, Vyacheslav Volodin. The Russian press paid no attention to Zyuganov’s speech in parliament, nor to the text posted on the Communist Party website. The business reporters waited more than a week before they noticed. That was not until January 17, the day after Deripaska’s lawyers had filed a lawsuit in a Moscow court charging Zyuganov with defamation; and also after the US Congress started debating whether Deripaska and Rusal should benefit from the sanctions relief proposed by the US Treasury a month ago, on December 19. 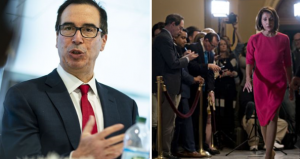 On January 16, a Democratic Party senator claimed on the floor of the US Senate that the Treasury sanction to reduce Deripaska’s shareholding control of Rusal would make no difference to Deripaska’s command of the company. 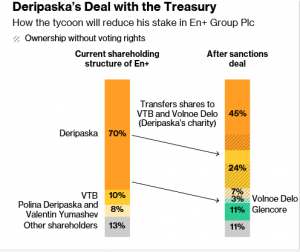 “Forty-five percent control is not–45 percent ownership, which is what this [US Treasury sanctions relief condition] does, takes Deripaska out of this? Forget it. Then add to his 45 percent the 7 percent the in-laws own, that the large percentage that Russian banks–controlled by Putin–own, the control is just as tight as it was before. The people who were put in charge have close relationships with Russia.” The US Senate then voted 57 to 42 to endorse Deripaska’s new shareholding arrangement and sanctions relief for Rusal. 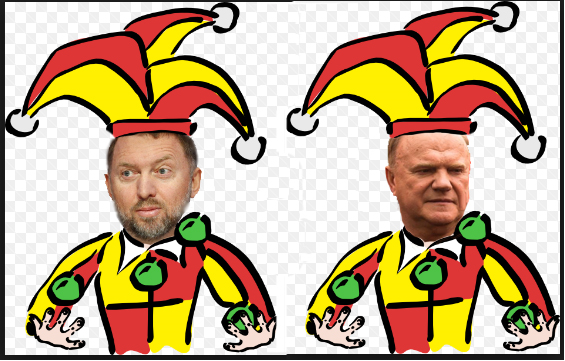 In papers submitted to the registrar of the Tver district division of the Moscow City Court, Deripaska’s lawyers have accused Zyuganov of defaming him and the company, and demanded he pay Rb1 million ($15,000) in compensation for “moral damage”. Vedomosti quoted “the representative of Deripaska remind[ing] that UC Rusal was founded in 2000 as a result of the consolidation of separate aluminium enterprises. 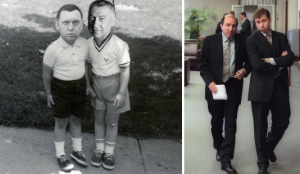 Its founder [Deripaska] was not involved in [privatization] auctions with nomenklatura privileges and in business he has not used any tools except for the market.” For the controversial history of Deripaska’s takeover of Rusal, and the contending claims of Mikhail Chernoy, Roman Abramovich, and Boris Berezovsky, as recorded in London High Court proceedings, read this archive, starting with Deripaska’s testimony in the witness box in November 2011, and in his out of court settlement with Chernoy in September 2012. Left image: illustration from the archive on the UK litigation by Mikhail Chernoy (right) against his former protégé Oleg Deripaska (left); click to read. Right image: Boris Berezovsky (left) and Roman Abramovich (right). The registrar of the Tver district division of the Moscow City Court confirms that Deripaska’s lawyers filed their claim on January 16. The court registry refuses to release a copy of the claim. Zyuganov and the Communist Party press office were asked if Zyuganov has ever made a public criticism of Deripaska in the past. The party was also asked if it can make available records of earlier criticisms which Zyuganov may have made of Deripaska’s takeover of Rusal, or of the state budget bailouts of Rusal’s financial liabilities since 2009. The party spokesman requested an email, then refused to reply.